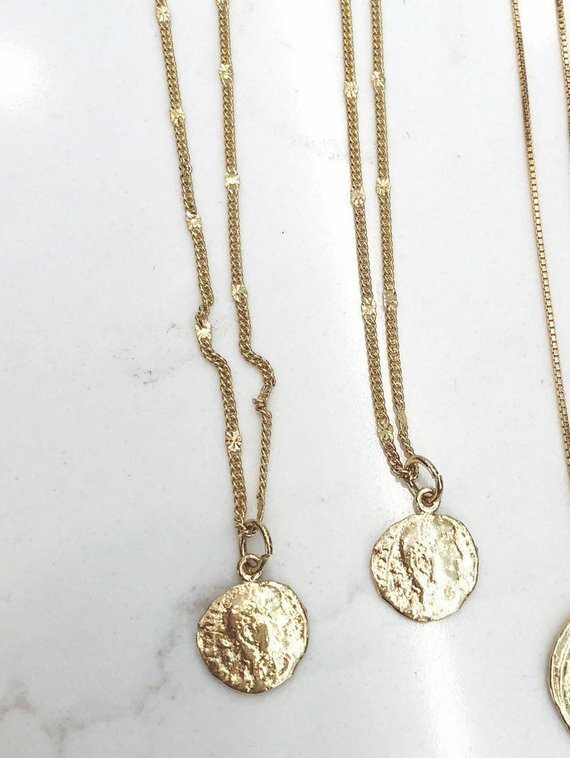 Two layered necklaces with mini coins. 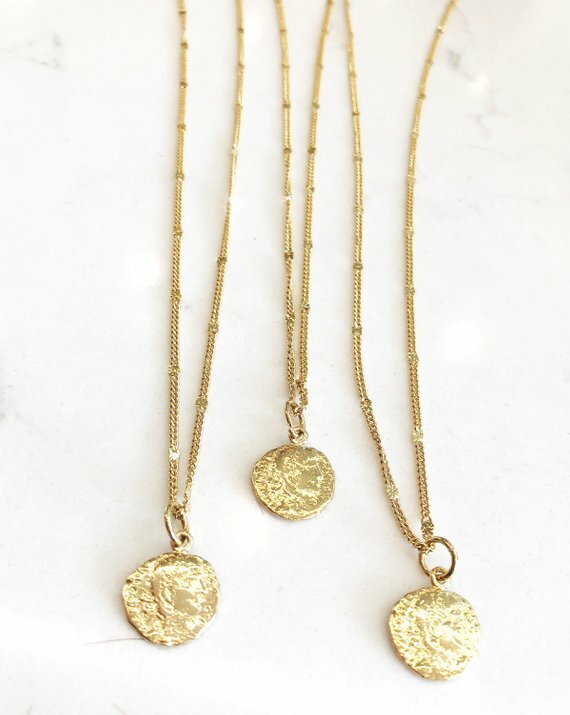 Chain is a gold filled curb chain with tiny sparkle detail. Gorgeous chain. 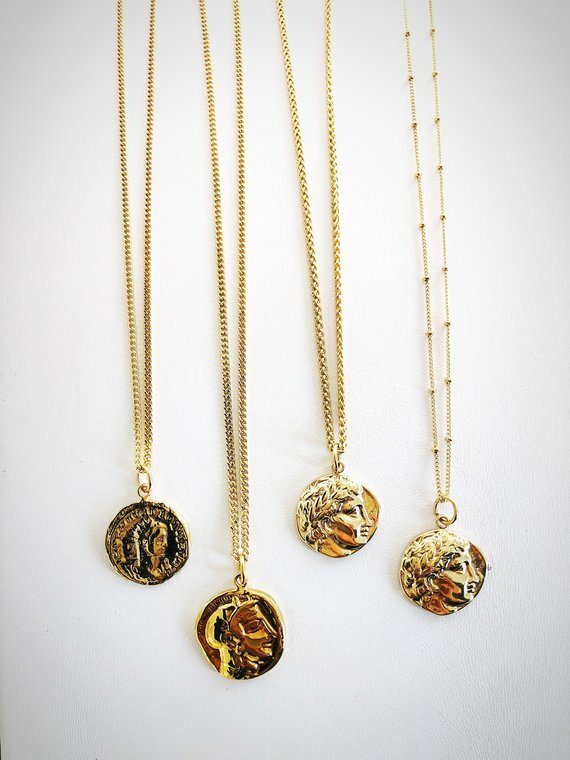 Delicate but great for layering 15” and 18” necklaces.